Colossus was the world's first programmable electronic digital computer. British codebreakers used Colossus to help to read German coded radio messages during World War II. These messages were sent between the German High Command, and Adolf Hitler's top army commanders. Reading these messages helped the Allies to win the war. Codebreaker Max Newman worked at the Government Code and Cypher School (GC&CS) at Bletchley Park. His problem was how to get a machine that would help turn German coded radio teleprinter messages into ordinary language. A group of Post Office engineers led by Tommy Flowers worked out how to do this. Their design, which was called "Colossus" used many vacuum tubes (valves). The first machine, Mark 1, worked in December 1943. 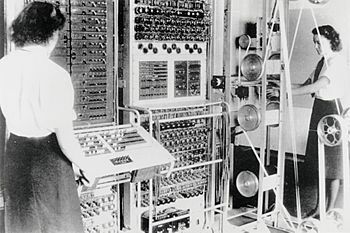 It solved its first problem at Bletchley Park on 5 February 1944. Colossus Mark 2 was even better. It first worked on 1 June 1944, just before the Normandy Landings on D-Day. 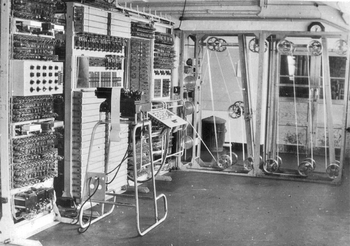 Ten Colossus computers were in use at the end of the war. 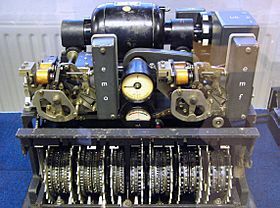 It was not until the end of the war that the British codebreakers found out that the code machine was the Lorenz SZ42. After the war all the secret Colossus computers were taken to pieces, so that no one would find out about them. The designs were destroyed. For thirty years no one knew who made the first computers. Between the early 1990s and 2007, a working copy of a Colossus computer was built. This can be seen at The National Museum of Computing at Bletchley Park in Engalnd. Regular radio transmissions of "Tunny" messages started in June 1941. The British codebreakers saw that it used a five-unit code like a teleprinter system. Their research also showed that the coding was being done by a rotor cipher machine with 12 wheels (rotors). For each new message sent, the wheels had first to be turned to different positions from before. This position was called the start position for the message. It was chosen by the operator who was sending the message. He told the operator who was receiving the message what the start positions were with 12 letters that were not coded. The total number of possible start positions of the 12 wheels was very large indeed. The first Colossus worked at Dollis Hill in December 1943. 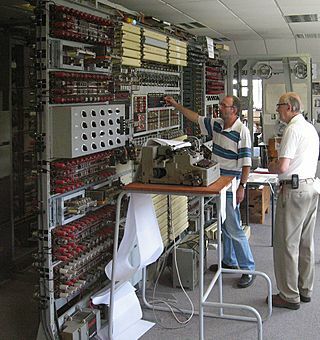 Then they took Colossus apart and moved it to Bletchley Park. It got there on 18 January 1944. Harry Fensom and Don Horwood put it back together. 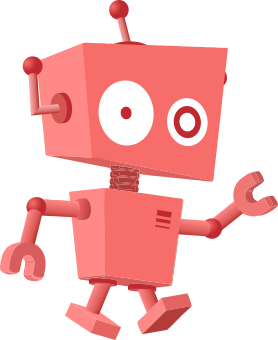 Colossus read its first message on 5 February. After the first Colossus (Mark 1) there were nine Mark 2 machines. These each had 2,400 valves. They were easier too use. They could be programmed to work at five times the speed of the Mark 1. A Mark 2 Colossus fist worked on 1 June 1944. Colossus used electronics that were new back then. It used vacuum tubes (also called thermionic valves), thyratrons and photomultipliers. It read a paper tape with light. It then used a programmable logical function on every letter. It counted how often this function was "true". Machines with many valves were known to break a lot. They break most when turning on, so the Colossus machines were only turned off when a part broke. It was not a general Turing-complete computer, even though Alan Turing was at Bletchley Park. This idea had not yet been invented, and most of the other early modern computing machines were not Turing-complete (for example: the Atanasoff–Berry Computer, the Harvard Mark I electro-mechanical relay machine, the Bell Labs relay machines by George Stibitz and others, or the first designs of Konrad Zuse). The idea of a computer as a general purpose machine—that is, as more than a calculator only for the solution of one hard problem—did not become common for many years. Colossus selection panel showing selections amongst others, of the far tape on the bedstead, and for input to the algorithm: ΔZ, Δ\chi and Δ\psi. Colossus K2 switch panel showing switches for specifying the algorithm (on the left) and the counters to be selected (on the right). Colossus computer Facts for Kids. Kiddle Encyclopedia.